Castle Parties Transform an ordinary cake into a breathtaking dream castle.It's the ultimate Cinderella story for your next party. Seven spectacularcastle scenes for all kinds of celebrations. 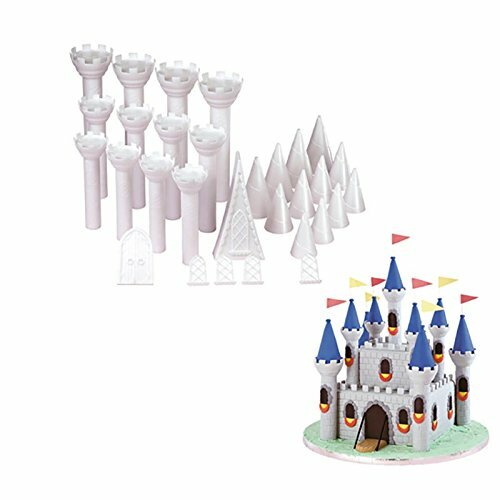 Includes the ultimate princessbirthday palace, a colorful Toyland tower for Christmas and a woodland castlein a treetop. All made using our Romantic Castle Cake Set, which turns astacked tier cake into a towering centerpiece.